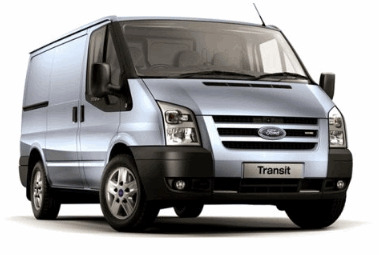 Buy your new Ford Transit spares online here and get our special low web prices. We sell Transit parts for all Transit models through our huge online store with easy next day collection in our premises in Essex. And one thing for sure, parts for your beloved Ford van do not have to be expensive, or difficult to buy. So before you think of going to the Ford main dealers for the part you are looking for come to Car Spares Essex and check out our prices and range of stock here. 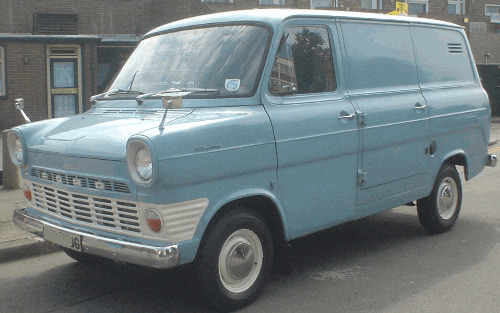 The Ford Transit has really been the classic British van for over four decades. Since it first rolled off the Ford van production-line back in 1953, it has transported cargo and produce around Essex and the country day after day. Although to be honest this version of the transit bore little resemblance to the "White Man Van" model we see all the time nowadays. So what new Ford Transit parts can we offer here at Pound Lane Auto Discounts, the number one car spares shop in the whole of Essex, you might be thinking, now that you have found us. As we said at the beginning, the Transit hasn't ever really lost its popularity with the commercial motorists of Britain, so since 1981 when we first opened our doors we have been selling spares and parts for them. That also means that we have quite a lot of stuff, that you may think that you cant get anymore sitting on our shelves waiting for you. We didn't sell everything that we bought in for the Ford Transit, but thought would go like hotcakes. Which obviously is good news for you. But you will get those hard to find Ford Transit parts now that you have found Pound Lane Auto Discounts. The list below highlights the models of Ford Transit, which we can have a stab at getting parts and spares for. Do You Offer A Delivery Service For Your Transit Parts? No I'm afraid that we dont have the capability of a delivery service at this moment of time. Pound Lane Auto Discounts, although recognised as the number one car spares shop in Essex, are still a family run business. And so we focus our energies on the areas of our business that makes most sense to us, and of course benefits our customers. We want to provide brilliant face to face customer service, whilst keeping the prices we have to charge at the lowest we can manage. And this is great for all our customers who have come to rely upon us over the last 30 years. And it seems to be working, as unlike many other Essex motor factors, we continue to flourish. So no at the moment we do not offer a delivery service, but you can of course order online so you'll always know that your Transit parts are ready for you when you visit. So What Ford Transit Parts & Spares Can You Sell Me? There are of course going to be some Transit parts and spares that we just cant get hold off. You aren't around the motor trade in Essex and the South East for over 30 years, without getting to know a thing or two about what's available for the Ford Transit drivers. From clutches, to brake cylinders, exhausts to service parts, oils to wing mirrors. We will have many of the items you want for your Transit sitting n our shelves at the moment. But our suppliers are brilliant and can often get your hard to find Transit parts to us for the next working day. The following list gives a good representation of the items that we can get, not just for the Ford Transit, but for all the makes and models of cars and vans that you see daily in Essex. So Whereabouts Are You If I Want To Get Some Transit Parts? This is one of the best things about Pound Lane Auto Discounts. We are in an amazingly convenient location for everyone across the whole county of Essex. As you can see from the map below, we are a stones throw from the three most direct and fast roads across Essex. Jump on the A127, A13 and A130 and you will be with us within 20 minutes or so. And even better, we have plenty of free parking outside our premises too. So if you need more details as to how to get to us, then click here. Or if you want to enter your postcode to get step by step driving instructions then use the link below the image.